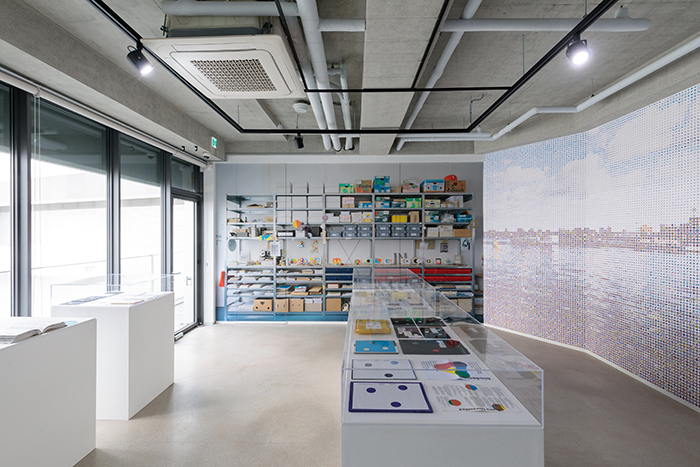 The exhibition of the Dutch designer Karel Martens’ opened its doors at Platform-L on Oct. 11. The show is an opportunity to survey the designer’s work, ranging from traditional work like exhibition posters to more recent works that combine contemporary media such as video, interaction design, and kinetic work. Passing through the entrance, Platform-L’s courtyard, visitors are met by a monitor with colourful icons. Finished in 2017, this piece, named Icon Viewer, shows the development of Karel Martens’ studies on icon-pixel language over the past 15 years. By moving your hand over the sensor in front of the monitor, various icons composed of layers of circles, rectangles, and crosses become smaller, and these small icons collectively create the physical forms of the visitors. Sensors sense the movement of people in real-time and depict them as icons. Icon Viewer shows the designer’s effort and attitude towards capturing life as a visual language and transposing it into a communicative medium. Colours of the Beach Cabin, a white box embellished with colourful bands that translate social language into a visual language. The colour bands visually represent the urban building laws enacted by King Francis I in 1517. Karel Martens applied a contemporary cryptography to create a colourful algorithm. This exhibition approaches works that display interest in visual language at multiple angles. In Letterpress Monoprint, Karel Martens experimented the principles of formalism by creating a form that displays repetition and harmony, rhythm and contrast. His other works, created using printing ink with everyday items like caps and machine parts, also share this aesthetic concern. A chronological display of OASE magazines, designed by Karel Martens, also show the designer’s experimentation with typography. 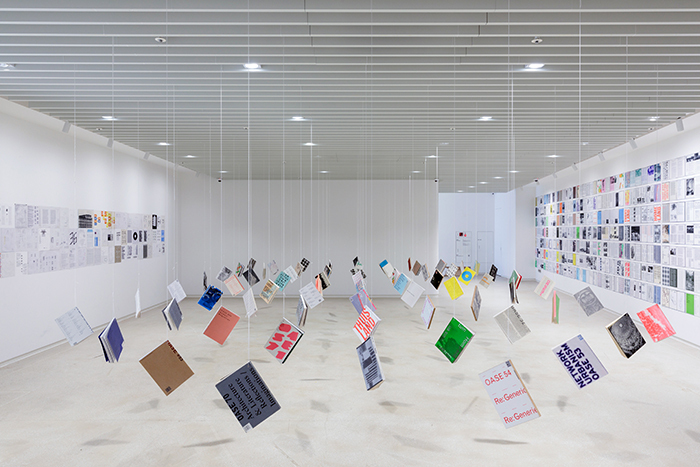 It is worth noting that the display suspends books from the ceiling so that visitors can freely move around a forest of books and witness firsthand the changes in typography. As with the title Still Moving, the exhibition displays selected pieces that allow us to view the artist’s interest in time, language, and everyday life from various angles, and survey the major works that have conducted numerous experiments in mathematical yet sentimental ways. The exhibition is enough to guide visitors curious about Karel Martens.